Leon Bridges is an American soul singer, songwriter and record producer who started performing when he was a teen, taking to open mic platforms and also organizing live performances. He is best known for his song Coming Home, which was played regularly on most radio stations and was also listed as one of the Top 10 Most Viral Track on Spotify. He is a Grammy Award holder and has earned a lot of other credits to his name. Read on to find more about the music artist. Born as Todd Michael Bridges on the 13th of July 1989, in Fort Worth, Texas to Wallace Bridges Sr. and Lisa Sawyer, the singer adopted the stage name, Leon Bridges, and has gone on to become one of the best music artists in the world. He was raised in a poor home but never lacked anything as a child. Todd has one biological brother, Wallace Jnr. and three half-sisters from his father’s romantic affairs with another woman. After his parent’s divorce, Leon lived with both of his parents at different times and in different parts of the city. He had his elementary education in a school located in Crowley and proceeded for his high school education at Crowley High School. Subsequently, he moved on to Tarrant County College with the intents of studying dancing, however, his mom was against his wishes but being a strong-willed child, Leon Bridges went against his mother’s wishes and took up advanced courses in jazz, ballet, and hip-hop. Upon graduation, Bridges took up menial jobs in order to help his mom; he worked in a restaurant and also as in an eye-solution plant. Meanwhile, the talented music artist taught himself how to play the guitar and trained himself in the art of accompanying his lyrical flow with the strikes of the guitar strings. Also, while working at the restaurant, he made live performances and also created a large number of audiences in his shows. Like every other music artist who had their own kind of style and lyrical flow, Bridges song Lisa Sawyer was about his mother’s conversion which later defined his kind of music style. Moreso, Austin 360 described the music legend’s songwriting as a transmission straight from the heart. With the rise in his career, he began attracting a lot of upcoming artists and an enormous fanbase which later led to his musical collaborations with Austin Jenkins and Joshua Block. With them, he recorded an album with vintage equipment, using local musicians affiliated with White Denim. Subsequently, Leon Bridges released two demo songs on SoundCloud that attracted the attention of so many record labels with him eventually signing with Columbia Records in 2014. 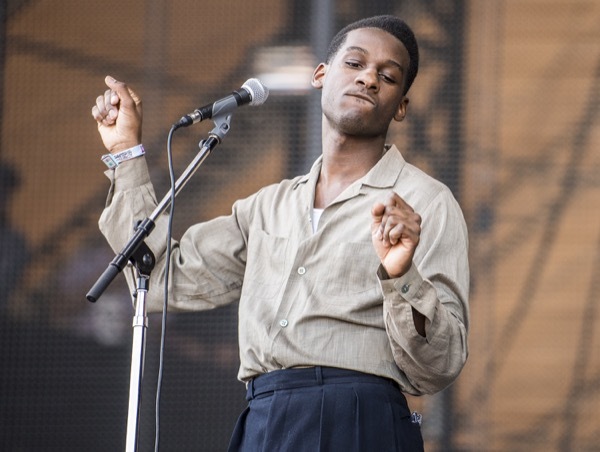 The following year, Leon Bridges took to performing live at tours and shows in Texas and was also a contributor to the success of Sharon Van Etten tour in New York City. His debut single, Coming Home was released in February that same year and it became one of the Top Ten Most Viral Track on Spotify the very same month it was released. Subsequently, he played at the Sundance Film Festival and at the SXSW Festival. His first album was later released sometime late into the year 2015 and it received a lot of critical acclaims with New York Times referring to the album as one of the albums to look forward to in 2015. As a reward for the excellence of his album, Bridges appeared as the cover of Fort Worth Magazine and was also the brand face for Apple iPhone 6 adverts. Later that same year, Leon Bridges stormed the UK with his tours and ended the tour receiving a lot of credits to his name with his album Coming Home nominated for Best R&B Album at the 58th Annual Grammy Awards. Aside from his personal deals, the music artist also aided Pharrell Williams at the Apple Music Festival on September 26. Four months after the festival, Todd was featured as a musical artist on Saturday Night Live (SNL). Is He Married? Who is The Wife or Girlfriend? 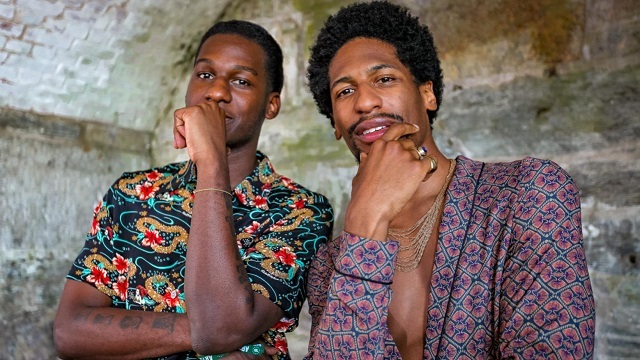 Leon Bridges is not a married man just yet; he is currently said to be single and has been locked with focusing on building his career. Howbeit, it was rumored that he was in an unpublicized relationship with a lady whose identity is yet to be disclosed to date. That relationship broke off in 2014 and ever since then, he has neither been seen with any other lady nor has been linked to any. 1. Body Stats: The black American singer has become one of the favorite music artists in the world today, he has a sense of fashion and a taste for class. Standing at 6 feet, his El magnifico frame could be well noticed on most red carpets events. Nevertheless, other details of his body measurements are yet to be revealed. See Also: Angus Young, Networth, Height, Age, Wife, Children, Is He dead? 2. Net Worth: Having started his career in 2014, Leon Bridges has built a successful musical career within a short period of time. Although he is yet to reveal the details of his income, we can take a sure bet that he has built an enormous fortune from his many musical gigs and tours.